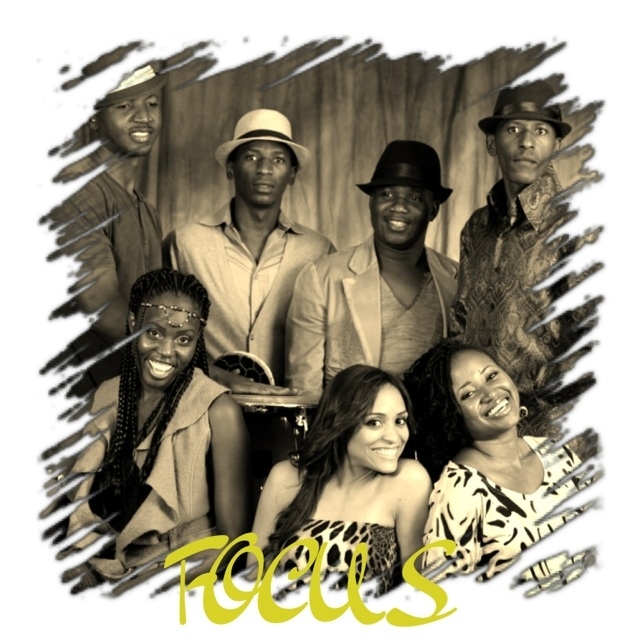 FOCUS released an album, Uthando Lukababa (God's Love) in June 2014. This CD features tight African harmonies and chords with a few spunky English songs as well. Copies of the album are being sold quiclky as many of their fans have long awaited this album. In lieu of the groups vision, "Giving Back to Africa", $3.00 of every CD sold will be donated to COMAC, a Christian boarding school located in Benin City, Nigeria. The much needed funds will be used for the building of a girls, dormitory, staff quarters, and a bus to transport children who are sick to receive medical care in a timely manner. In a community where there is no secondary school and where mainly traditional African religions are practiced, this school will be a light shining in the darkness. FOCUS' music has been played on air in different parts of Africa. This is the First time Apa Ne Apa was broadcasted on public radio in the US. 9/27/12. 3rd Place FOCUS T-Shirt and cap goes to Michele Ovattara. 2nd Place $100 Wal-Mart Gift card goes to Dr. Jonathan Mtombeni. 1st Place I Pad 3 goes to Nkosi Muzwi. Enjoy your gifts and thank you to all who participated in the raffle! FOCUS' Single Album, Uthando Lukababa" has now been released. 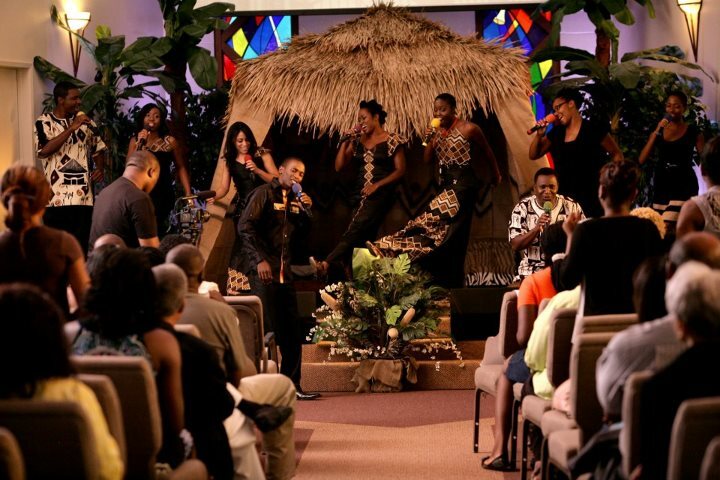 The house was packed for the Single Release Concert at the All Nations African SDA Church in San Bernardino, California on that night. Standing room only, FOCUS Released their Album, "Uthando Lukababa". The concert ended with an appeal for redication to God by a Pastor Dwayne Spencer who sang with FOCUS to their song "My Hands" and called for an appeal from the audience. Afrinet 2012 will take place at Loma Linda University Drayson Center. This 4th Annual Cultural Show promotes Celebrating Africa's Diverse Cultures. The event will have African Food, Entertainment and of course FOCUS will be performing and doing a promotional booth for awaness for the school building of COMAC. FOCUS upcoming album release will also be promoted. COMAC, the Nigerian school that FOCUS is helping to sponsor, now has 62 students. 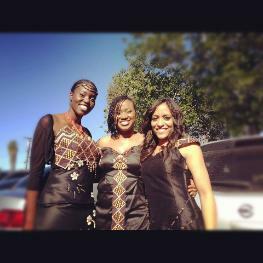 This exciting Saturday nite event was based in Rancho Cucamonga, California. 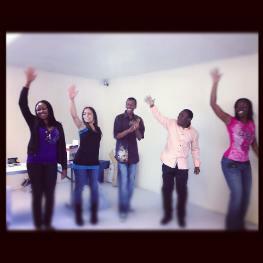 FOCUS performed and danced as an inspiration to these graduating students who have inspired to learn to play gospel music. Kids recieved free beach balls as a gift from FOCUS to promote keeping "Your Body in FOCUS". 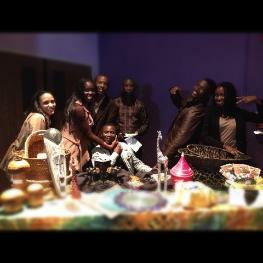 African Items sold after the Piano recital. Proceeds go towards the new Album! FOCUS pozes for comical pix after the concert! breakfast and concert in December.